The R-392 is a rugged receiver designed for vehicular use. 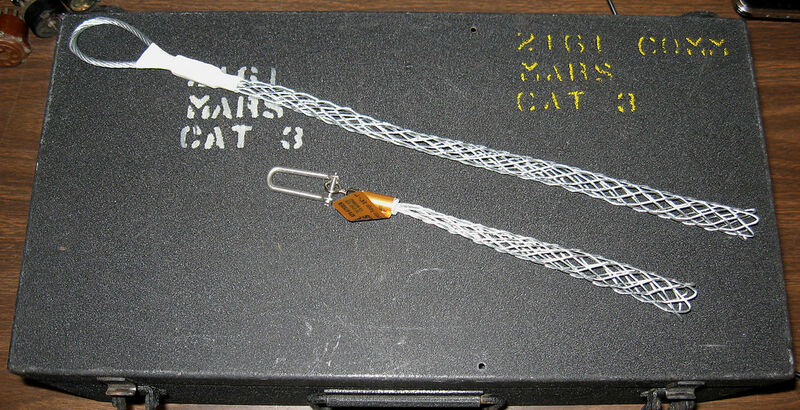 It covers 500KHz to 32MHz in 32 bands and has a mechanical digital readout . It's from the 1950's and 60's and part of the AN/GRC-19 portable transmitter-receiver setup. I just refer to it as a jeep radio since the manual shows it mounted in the rear of an Army jeep and it's a true "boat anchor" radio, weighing in at 52 lbs not including accessories. It requires only 25-30 volts (28-volts nominal) at 3-Amps for operation and I've never owned a tube radio that uses a lower B+ voltage. This R-392 is another hamfest find I couldn't pass by. I had one of these years ago that I sold and have regretted letting go of it ever since, so when the seller offered me a deal which included a couple of Power One power supplies, an original power input connector and two U-77 audio connectors, all at one amazing low price, I couldn't say no (my wife wasn't there). The radio is a sealed, immersion-proof unit so the inside is clean. It's all complete except the 26A7 audio output tube has been pulled and a solid state audio amp PCB mounted in it's place. This is a pretty common mod, and is 100% reversible if desired. The only other missing items are the two tube pullers, the right-angle screwdriver and the bristol wrench. Tools just never seem to get put back where they belong. Tube pullers are a necessity to get some of the tubes out of tight spaces in this radio and I couldn't locate any vintage ones. But I did find the same thing, only different. They are called some variant of cable socks, cable grips or cable pullers, but work the same as a tube puller. I purchased a Klein 3/4" - 1" cable puller at Home Depot that will pull 9-pin tubes. The smaller Klein 1/2" - 9/16" grip that Home Depot sells is too small for 7-pin tubes so I had to resort to ordering a cable grip on eBay. The two left digits of the readout are set by the Megacycles control knob, while the three right-hand digits display kilocycles as tuned by rotating the Kilocycles control. Tuning this thing could give you carpal tunnel syndrome.